Minnesota State Fair added Aug 27th and a digital download of Mike's (whatever) is included. This one's a tough one, I've never seen the group since Carl passed. Thinking about going this time. I'm getting soft in my old age. I would say if you're thinking about it, do it. If you haven't seen the group post-Carl, a state fair show is NOT the time to hop back in. You'll get a about 20-25 of the greatest hits that you've probably heard before surrounding by a bunch of sweaty country bumpkins claiming that Bruce Johnston is Brian Wilson and wandering when Uncle Jessie comes on. I really have nothing good to say about shows of this caliber. I'm not knocking the band. I'm knocking the circumstances of this show. If The Beach Boys were playing the Maryland State Fair, I would not buy tickets. I MIGHT park across York Rd. and roll down my windows. Good point, I didn't notice that the poster said it was a fair. The only way I'm going to a Mike and Bruce show at another one of those summer shows is if they play Ocean City's Sunfest again. We found, if you stand my the Inlet Parking Lot, you can peer into the tent, and basically see the show for me. We caught Eddie Money two years ago the same way. So are Randall and Christian back permanently?? Well, with Brian now gone, and if the rumors are true about Fosket's voice problems, it would seem that both Christian and Randal could be back for good. I know Jeff is in his early 60s, and he's been out there for 170 or so shows a year trying to emulate the perfect falsetto of a guy in his 20s. No easy task. Just to help future board searches and whatnot, I'd like to mention that his name is spelled RANDELL Kirsch. As for his membership, unless Mike plans on finding another different permanent replacement on bass, I would guess Kirsche is back full-time. Brian E. has seemingly permanently left the road. As for Christian Love, I'm not sure what's going on. As previously mentioned, it's ironic that Mike complained about the size of the C50 band in relation to his "lean" touring operation, because it has now ballooned to a 9-piece band compared to the 7-piece of most the last decade or so (going to 8-piece when the sax guy was added a couple years ago). I suppose the possibilities include Mike simply deciding to spring for a 9-piece band, or Christian just sitting in for shows for a few months, or indeed Christian essentially warming up into coming back to replace someone else. I can't fathom Foskett leaving; he's essentially Mike's right-hand man of recent years, making public appearances with him, etc. His jumping to Mike's band was the most "political" move in the BB orb in quite some time, so I can't imagine he'd do all that only to spend a few years in the band. Think Foskett will be transitioning to more mid range parts as time goes by. He is going nowhere. Just to help future board searches and whatnot, I'd like to mention that his name is spelled RANDELL Kirsche. Thanks Hey Jude about Randell's name, I had seen it spelled different ways on different websites. The reason I asked a few times was that I'm surprised he would come back after (I'm assuming, correct me if I'm wrong) Mike canned him to bring in Brian Eichenberger. Perhaps Jeff will transition to mid-range, and have Randell take over the falsetto. That would be fine by me. Hell, that would be great with me! I love Jeff's mid-range and Randell's falsetto. Great singers, those guys. I'm curious as to who's doing the heavy lifting rhythm guitar vs the "icing on the cake" Al-esque guitar parts. I'm assuming Foskett is playing as the primary rhythm guitarist, with Christian being the "icing on the cake" , but I very well could be wrong, because Christian played solid rhythm guitar with Mike and Bruce for many years. I would guess that Christian is just doing a handful of shows as he has since his departure. I seriously doubt he'll be on steady once summer dates pick up from June onward. I also get the feeling that Randell isn't around for long, but is less temporary than Christian, if that makes sense. Mike had no problem letting him go for a younger voice (and got a dig in at BW while he was at it) and I have no doubt he'd do it again. I think his last name is spelled Kirsch. This is smart thing to say, I didn't look at it like that. Having talked to C Love i get the impression he is back full time. IMO his voice adds a balance to the middle third harmonies that was not there since he left. Does anyone know why Brian E left the road? Word is that Christian is back full time, and that Randell is unfortunately just back temporarily. I'm not sure what the reason is. Going by Mike's own logic, I fail to see the reasoning behind having Christian Love, Scott Totten, and Jeffrey Foskett. UNLESS, one of them were to transition to bass...but I can't really see any of them doing that. I saw the band last night in Thousand Oaks, CA. Quick background on me: Never saw the BBs in their heyday live, but have seen all different touring versions of BBs, BW and Al's bands since the late '80s. Up until 2016, I could take or leave Mike's band. I was happy that he continued to tour and bring the music to so many fans, but (especially compared to Brian's band) I thought the concerts themselves were quite forgettable. I would still see them when I could (for me hearing this music live performed by ANYONE is a treat), but never left eager to see them again. That all changed in 2016 when I saw Mike and his band at this same venue in Thousand Oaks. The band was tight, the harmonies were killer, the setlist had some unexpected deep cuts and the vibe was excellent. It felt like Mike and Co. had upped their game. Still a very different concert experience than seeing Brian and his band, but awesome in its own way. 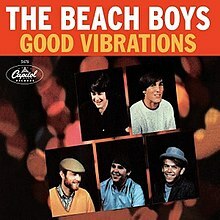 Seeing Jeff taking some great leads, along with Scott and Brian E to me felt like the spirit of what the Beach Boys music is and can be moving forward. I was unable to make their show last year at same venue, but was thrilled to see them again last night. It was, however, quite a letdown. Christian Love performed the whole set with the band and sounded fantastic on God Only Knows and Good Vibrations. I wish he would've sung more leads. Bruce's falsetto at the end of Fun Fun Fun was quite impressive and he wasn't doubled by anyone else. He also had a couple of other great stand out falsetto vocal moments. Scott sounded lovely on Betsy, and his lead playing is top notch. Jeff sounded great on Darlin'. Backing vocals- I'm not sure what is going on, but Jeff selectively sings falsetto now. Sometimes someone else is on top of the stack, but other times it's just empty (or the sound mixer is asleep at the wheel, which is quite possible based on how terrible the mix was last night). When Jeff did sing falsetto, it sounded pretty weak (though he sounded great full voice on Darlin'). A friend saw them in October last year and Jeff didn't sing at all, so I wonder if he is having voice issues. Hearing so many songs from Mike's album- they are just terrible. Stamos- He played most of show with them. I don't mind him on 4th guitar, but when he drums instead of Cowsill, everything falls flat. He has no sense of meter and is more concerned about twirling a drum stick in between tom hits than keeping solid time. Do It Again- I already mentioned Mike's album cuts, but this gets its own mention. Just...no. Please. Play the real version. No one in the crowd knows or cares who Mark McGrath is. Some people around me were quite confused. No Brian E- Nothing against Randall who is great, but Brian's vocals on I Can Hear Music and Then I Kissed Her in 2016 elevated the whole show. His absence is felt, even though during his entire run with band, his vocals were criminally underutilized. The theremin substitute sounds on Good Vibrations- Horrendous. Sounded like a child's toy. Clearly a choice to make it sound like this instead of what I've heard previously. Inexplicable. I hope someone posts a video online. THE SOUND MIX- was the worst I've heard at a BB related show. Ever. The videos played during about half the songs are of teenagers in bikinis, with no sense of irony. It's pretty icky. 1. I was in the balcony but the sound was awful. I was about 40 feet from the sound guy and wanted to go over and ask "are you listening??" Granted I'm always up front whether its a Brian or Mike show but this was awful. In particular Bruce's mic was way off....during his Wendy solo, I thought he was going to break his neck with the violent turns to his stage right with his hands outstretched and tehn suddenly his voiced appears 10x louder. 2. My sense is Mike is doing a little less heavy lifting. With JF doing his Darlin and Don't Worry Baby, Bruce doing Wendy, Christian did God Only Knows and Good Vibrations, and ST did his songs, my sense was Mike did a bit less than when I last saw him in Seattle in last year. And they also had a second show to do later that evening so some of this makes sense. 3. Thankfully no Stamos !! 4. I was reading this blog but not posting on my trip. I had read where there was speculation that Jeff was doing less falsetto due to voice issues. Kirsch did it all from my vantage point. Did Jeff double up with him at times....maybe some. Earlier on this page, those in the know thought Randell was only back temporarily. Just not sure what the plan is going forward. 5. Everyone here on SmileySmile has their own opinion, but I feel Brian Eichelberger was a HUGE addition to this band. I had a few PM's with a person in the group who felt the EXACT same way. BE could do some falsetto but also handle his own level in the stack. I feel he will be sorely missed as the reviews. Think about it everyone.....BE leaves and Mike adds 2 guys back to the group. Something is now missing IMO. 6. Christian voice is a lot like his dad's. During his solo's (especially God Only Knows), his lower notes are very strong and he strains a bit as he goes up. I guess it just tells us how good and beautiful Carl truly was singing this song. 7. DC310 hit the head of the nail perfectly. For the most part, the videos are horrendous....This McGrath guy obviously wants to be the next Stamos personality associated with the band. Even the grey hairs all around were asking who this guy was......all kinda sad really. 8. I've always thought Mike truly didn't care for Dennis but they sing "Do You Wanna Dance" with Dennis' voice. Basically substituting Carl's old God Only Knows lead (to Christian) and then does a Dennis voice-over.....Just seemed really strange to me. 9. Again DC310 nails it. God these new remakes are just AWFUL. Do It Again is bad, but wait till you hear Sloop John B. Either the sound was so way off it was unintelligible....OR....this remake has just butchered more ways than one a true Beach Boys classic. 10. Noted no Jacquelyn Love dancing with her husband to Surfer Girl.....Maybe Palm Desert being close to Tahoe, she may have gone home which would be understandable to take some time off the road. Yes I went....The tickets were free. Given to me in the Men's Grill at a golf club 2 hours prior to the show. After seeing what I felt was a great show in Nov 2016....This was a true downer.....the remakes.....the sound issues.....no energy in the venue.....oh well....concert 39 is history !! Yes, assuming Kirsch is truly temporary, then they'll need to either have one of those guitarist switch over to bass, or hire in another bass player. The only member of those three that we've really ever seen play any bass on stage is Totten, who played bass for at least one tune ("Pet Sounds") during C50. But I don't particularly envision any of those guys taking over on bass. I suppose one scenario would be Christian Love taking some time (hence having Kirsch back temporarily) to learn the bass parts. What seems odd is to not simply have Kirsch back full-time (which would be tremendously easier, he can sing and play bass and was with the band for over a decade), because it probably isn't super easy to find someone who can sing in the harmony stack well and also play bass. Which may explain why they brought Christian Love back to fill out the mid-range (with Foskett and Totten now exclusively doing the higher parts), and Kirsch in to handle bass. But Kirsch is also singing I'm guessing. All of this is also odd considering Mike's bottom-line emphasis in terms of overheard costs. *That* aspect would strongly suggest he's going to have one of those guitarists switch over to bass. The Legendary Beach Boys will be playing the Freeman Stage in Selbyville DE, on August 3rd. I was hoping they'd play OC Sunfest this year (it can be checked out for free), but days after Ocean City announced their Sunfest lineup, this show was announced. That seems like its the most likely option (moving Christian to bass) because of Mike's complaints over costs and the size of the C50 band. I don't think Foskett can play bass, so we can count that one out. And I don't know if moving Scott Totten to bass would be the best option. He is a great lead guitarist and that would hurt the band; moving him to lead guitar would require moving Foskett to lead guitar and I don't think Foskett plays lead anymore (the last time I'm guessing he did this was around 1990. Powered by SMF 1.1.21 | SMF © 2015, Simple Machines Page created in 0.161 seconds with 21 queries.